Pictured below is a slide from one of the talks at the Fascia Course I recently attended. 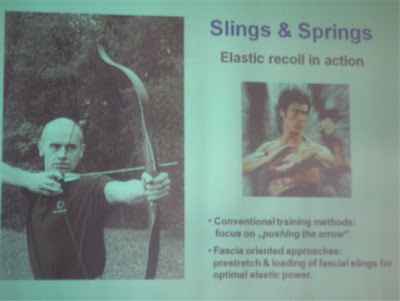 Besides the obvious picture of Bruce Lee in this slide, the whole lecture reminded me about fascia-oriented training in Wing Tsun. You may have heard of this term before. Traditionally, fascia layers are the thinner planes of connective tissue that we dissect away during anatomy courses to get at the deeper anatomy, the “real money”, in muscles, ligaments, etc. However, the “fascia” that we spoke of at this conference is a broader definition, including all soft connective tissues containing collagen. This strong, dynamic, elastic network is present throughout our entire body. 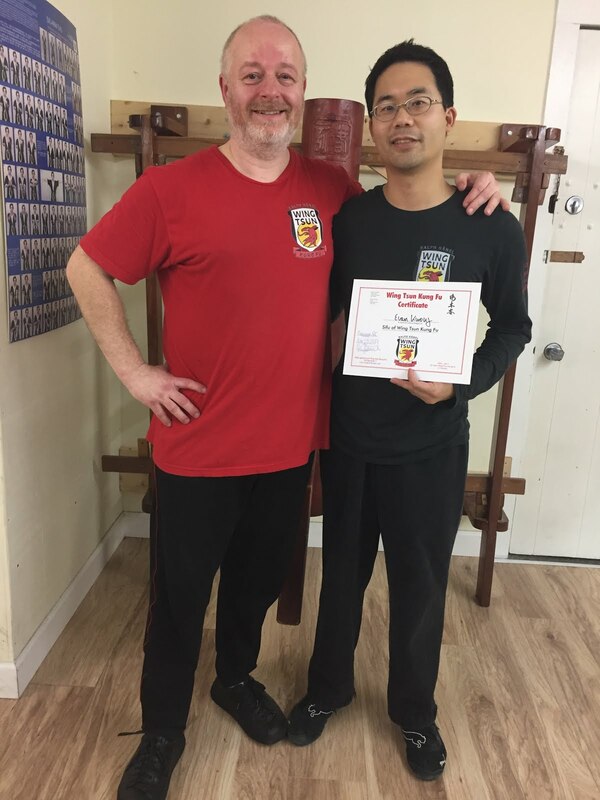 This network not only helps transmit forces through our myofascial chains, but much research is underway about many other properties, for example its sensory aspects such as propioception. Outside of WT training, try out things such as kettlebells, clubbells, yoga, resistance band training, etc. Get to know your fascia! Very cool! The first thing that pops into my mind regarding "fascia" training is that it seems hard to relate to. I know what biceps are, i know what chest muscles are..but to know what the fascia is and to contract/relax/use it seems SO incredibly foreign. Definitely untapped source of power.. It's all in you - a whole network enveloping those muscles! Hopefully one day it will become less foreign to us.